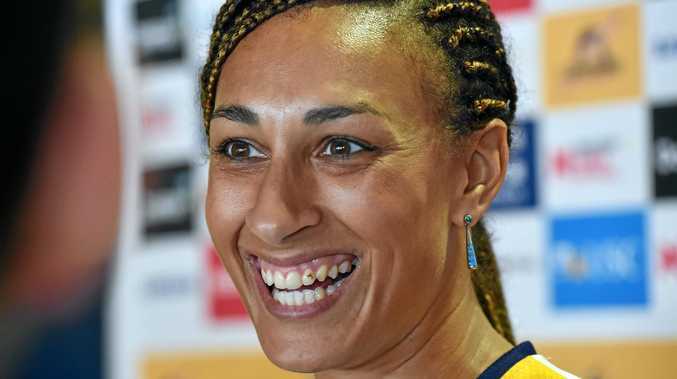 NETBALL: Sunshine Coast's former leader and English netball star Geva Mentor has been confirmed as the new queen of the Collingwood Magpies' defence after the retirement of Diamonds champion Sharni Layton. The Super Netball side announced the veteran defender had signed a two-year deal with the Magpies following back-to-back titles with the Sunshine Coast Lightning. "Geva is one of the superstars of our sport,” Magpies general manager Jennifer McIntyre said in a statement on Friday. The 2018 Commonwealth Games gold medallist, away on a camp with the English Roses ahead of this month's Quad Series, seemed excited to start a new chapter. "And so it begins,” the 33-year-old posted online. Mentor, who made her international debut for England in 2000 at age 16, was weighing whether to join the Magpies or continue her career back home after exiting the Lightning on Monday. But the two-time trans-Tasman champion with the Adelaide Thunderbirds and Melbourne Vixens decided to pursue a second stint in Victoria. She follows former Lightning teammate Kelsey Browne to the Holden Centre as the Magpies push to rebound from a poor season. The eagle-eyed defender and Diamonds midcourter join Madi Robinson, Kim Ravaillion, Ash Brazill, Matilda Garrett and Shimona Nelson on new coach Rob Wright's roster. Collingwood still has a gaping hole to fill up forward after letting uncontracted Australian shooter Caitlin Thwaites walk to the Vixens earlier this week. Mentor's move continues a busy Super Netball off-season that includes the retirement of former Queensland Firebirds captain Laura Geitz, West Coast Fever's shock axing of Natalie Medhurst and Lightning star Caitlin Bassett defecting to the Giants.